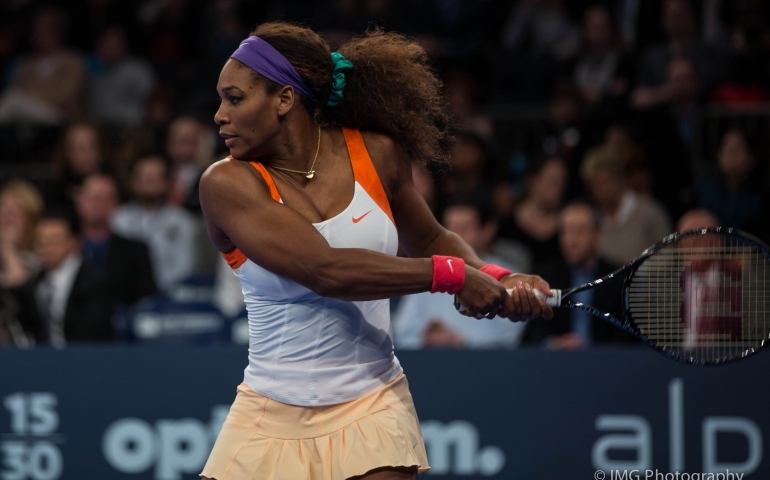 Serena Williams’ voice expresses “… So if they want to call you crazy, fine. Show them what crazy can do.” While images of women breaking stereotypes and records play over her voice. Williams even brings up her own “craziness” winning 23 grand slams, having a baby and then “coming back for more”. Senior Judit Mas Bassas communicated that “there is a change that has happened in sports because women are starting to speak up, and they want to be valued as athletes.” She would also like to see women respected and appreciated as men are in sports. Bassas additionally asserted that women put in just as much work and time as men but do not get the same esteem. When asked how she felt about Nike as a brand, she said, “I use Nike, but I also know that they produce their clothes in countries where they use children.” She indicated her concern for this practice: “Here in the United States everyone uses Nike, but no one really knows about that.” She even brought up the fact Nike is aware of the issues that they are marketing and selling to the consumer. Nike’s goal by releasing this ad is not only to support women in athletics but also to capitalize on the social currency of being a “woke” brand. This outlook can also be supported by Nike’s ad last year featuring Colin Kaepernick and his kneeling for the national anthem. The response of that ad was swift. Those who opposed Kaepernick took to the internet to let their frustration be known. Some even went as far as to burn their Nike apparel. On the other side, Nike was praised for paying attention and taking a stand to an issue that became hotly contested in American culture. While it is important that brands are conscious of their influence, we as consumers should pay attention when brands try to capitalize on social issues for their profit, especially when a company like Nike has been caught up in “Child Labor” controversies since the ’70s. Nike may paint a picture of their “wokeness,” but it is critical that consumers do not let down their critical thinking because of a couple of ads.